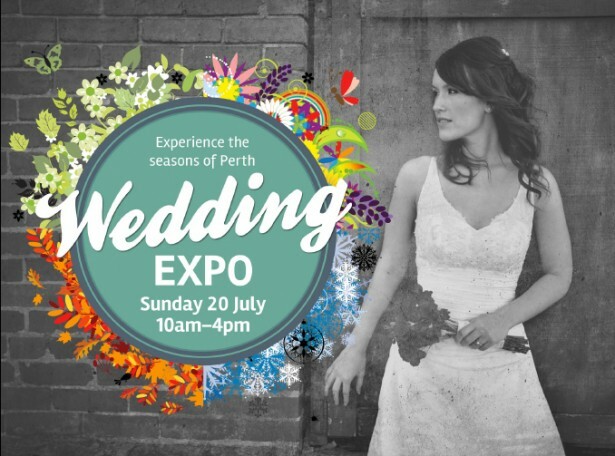 The Esplanade Hotel Fremantle – by Rydges are holding their annual Wedding Expo on Sunday 20th July. This is your opportunity to see this amazing venue in all its glory with all rooms decorated seasonally so you can see what your big day can look like in Spring, Summer, Autumn and Winter. Entry is FREE. There will be a range of excellent suppliers covering every aspect of your wedding planning including stationery, cakes, limos, decorators, photographers plus many more. See the beautiful designs from custom wedding gown designer Secrettopia featuring handsome South Fremantle Football Club players escorting the lovely models. Plus, complimentary sparkling wine for the first 50 people. Show times are 11am, 12.30pm and 2pm. If your fiancé gets a little bored while your enjoying everything there is to see, you can drop him in the Manzone. He will be looked after with 3 Minute Angels massages and the footy live! Try the delicious wedding buffet in Atrium Garden Restaurant for lunch during the expo, only $49pp including a glass of wine. Call 9432 4811 or email dining_esplanadefremantle@rydges.com to book! You will also have the opportunity to WIN an amazing wedding package valued at over $12,000 including voucher towards your very own Secrettopia custom wedding gown, Michelle Dean Photography, Da Doo Ron Ron DJ entertainment and AVPartners lighting and draping! For more information please contact Belle Johnstone, Wedding Coordinator at belle_johnstone@rydges.com.